We have published our Top 10 vs S&P500 Index. It looks at the performance of a portfolio of 10 big cap stocks relative to the benchmark S&P500 Index. 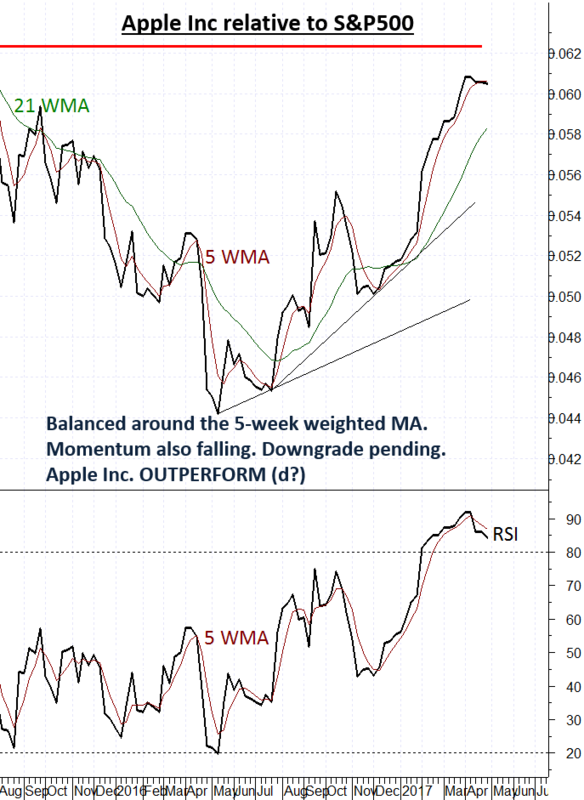 Recent focus has been on Apple Inc, as the tech giant strongly outperformed the US index. However, signs of maturity are appearing as prices begin to flatten against the index. To keep profits from sliding, portfolio managers are likely to be looking for a better performing replacement. 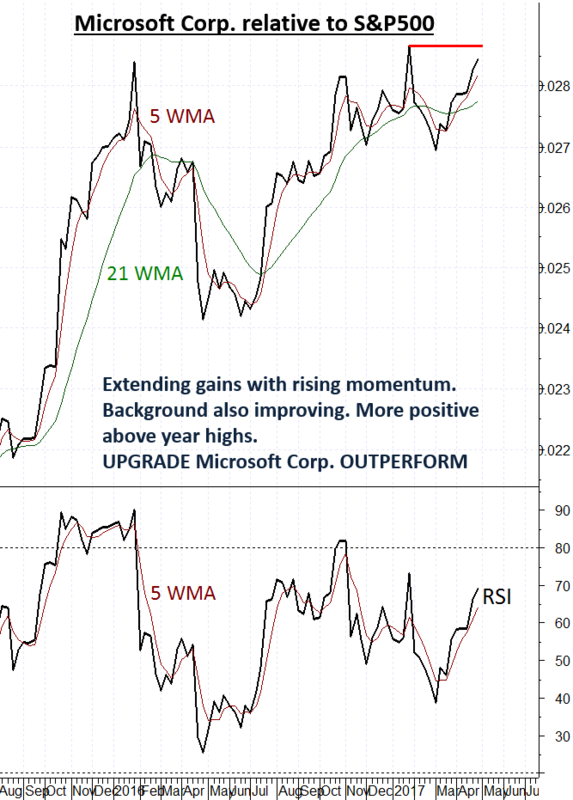 Microsoft Corp is a potential candidate. Prices have been showing steady improvement relative to the benchmark S&P500 Index. 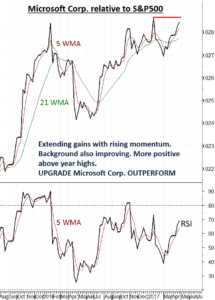 Rising momentum has helped to keep investor sentiment buoyant. Strong resistance from January is now within reach, with scope for a break as background monthly studies also improve. Additionally, Microsoft is now showing signs of improvement relative to Apple. 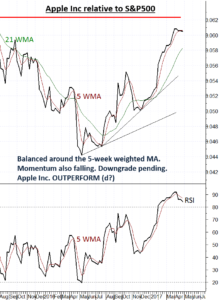 Prices are attempting to close above the falling 5-week weighted moving average, as momentum studies also break higher and unwind oversold areas. Longer term monthly charts are also improving. 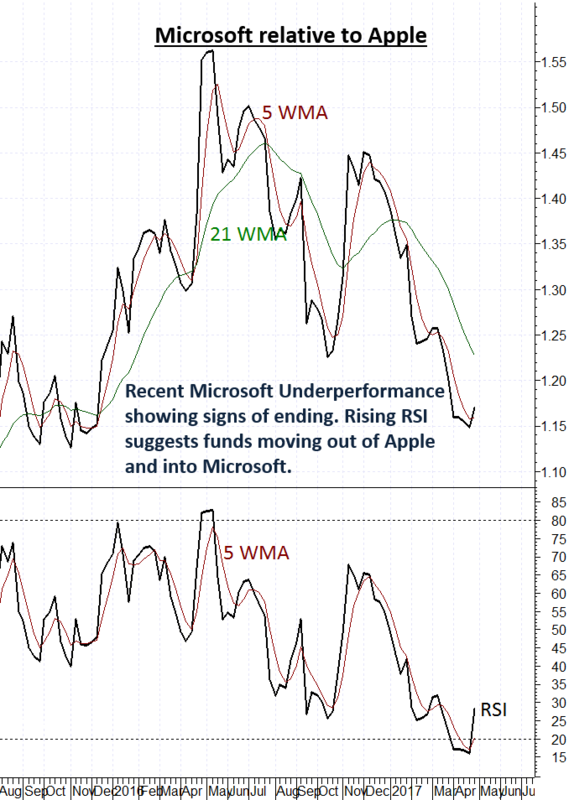 This suggests Microsoft could begin to recoup some of the ground lost in the recent months. 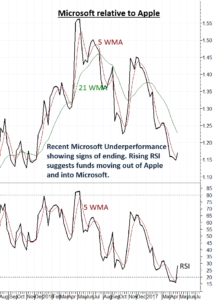 Money managers who are considering reducing exposure in Apple could find a viable replacement in Microsoft.